The Charki family have offically become part of the annual tie dye tradition. During our visit Steffi and I made family tie dyes for them and a bunch of additional onesies for Baby Qunicy. 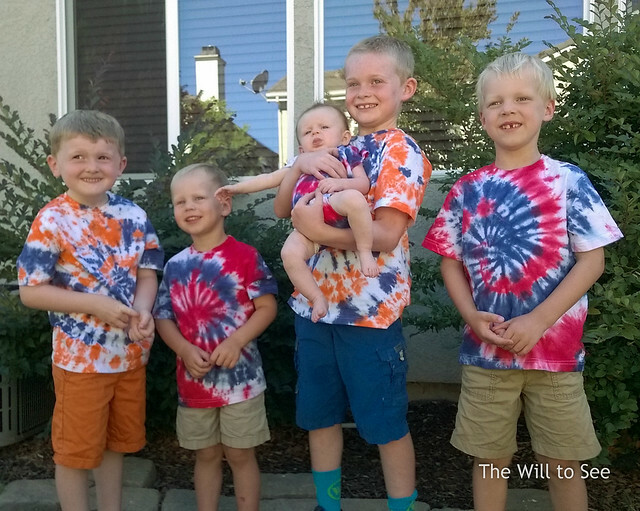 We forgot to bring our matching red, white and blue ones, but here are all the cousins in tie dyes.